Erin Hamlin, a four-time Olympian and the first female American luger to medal at an Olympics, will be the flag bearer for the United States at the Parade of Nations in Friday's Opening Ceremony at the Pyeongchang Winter Games. Hamlin, who won bronze in Sochi, will be leading a contingent of 244 athletes -- the most the U.S. has ever sent to the Winter Games. However, according to fellow Olympian Shani Davis, the process that led to Hamlin being named flag bearer was not a fair one. The process entails that eight athletes from the eight winter sports federations vote on who will be the flag bearer. The vote ended tied at 4-4, which resulted in a coin flip. Hamlin "won" the coin flip, which resulted in her being named flag bearer. Davis believes that he was more than qualified to be the flag bearer, tweeting that the coin toss was done "dishonorably." Davis also referenced Black History Month which is, of course, the month of February. Davis is a long track speed skater and a four-time medalist at the Olympics, with two gold and two silver. The 2018 Winter Olympics marks Davis' fifth Olympic appearance, although he left Salt Lake City after the Opening Ceremony in 2002 to compete in the Junior World Championships in Italy. As Davis noted, he won gold in the 1000 meter in 2010 and 2006. Kelly Clark and Kikkan Randle are the only other five-time Olympians on the roster. Davis is also the most decorated Olympian on the team. "We feel strongly toward Shani and they felt strongly for Erin," U.S. speedskater Joey Mantia said, via The Chicago Tribune. "That's just that." Hamlin is no stranger to history. The luge star became the first U.S. athlete to medal in singles luge since the event's inception in 1964. She also became the first U.S. woman to win a world championship in luge in 2009. 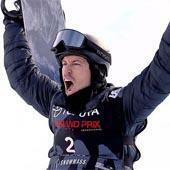 "It was a pretty big shock," Hamlin said of being asked to carry the flag, via NBC Olympics. "But it is an honor and a privilege to be recognized by all of Team USA." At the 2016 Summer Games in Rio, Michael Phelps bore the flag for the Opening Ceremony, while Simone Biles had it for the close. For the 2016 Games in Sochi, nordic combined skier Todd Lodwick carried the flag before the Winter Games, and hockey player Julie Chu carried it for the Closing Ceremony. It's unknown who will represent Team USA at the Closing Ceremony. Hamlin is coming off of a banner year in 2017, having taken a world championship in sprint, a silver medal in singles and another silver medal in mixed team. She's hoping to carry that momentum into 2018 and add to her medal count. This U.S. delegation is not without controversy, as Vice President Mike Pence -- who has been criticized by gay Olympians Adam Rippon and Gus Kenworthy -- will be leading it. Hamlin's first competition will be on Feb. 12, for the first two runs of the luge. The first runs will be at 5:10 a.m. and 9:30 a.m. To see the full schedule for the Olympics, you can get every event and time by following this link.